Someone from The Berry Schools enquires as to what the additional material should be used for. 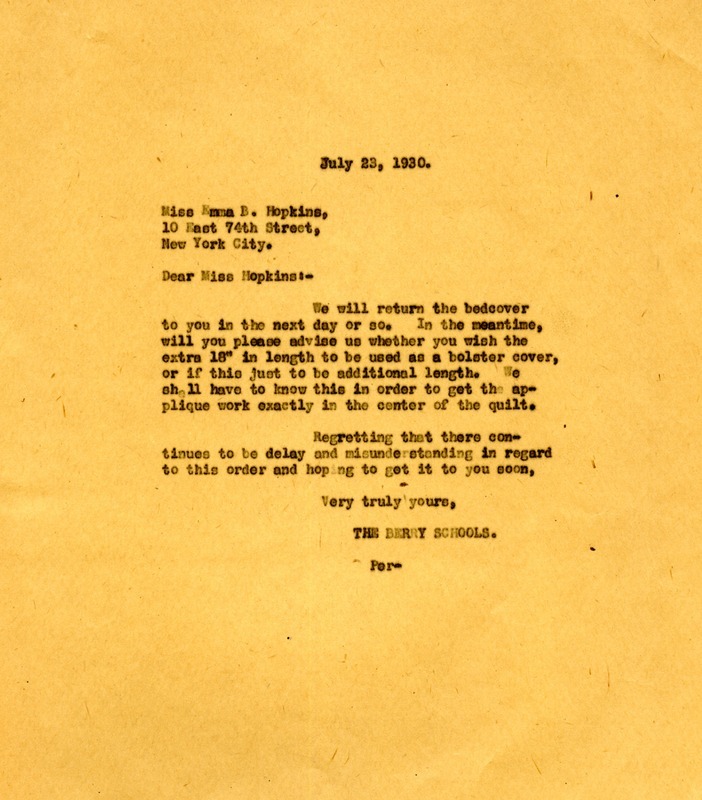 A letter is then sent to Miss Hopkins, as she has not yet answered the first. 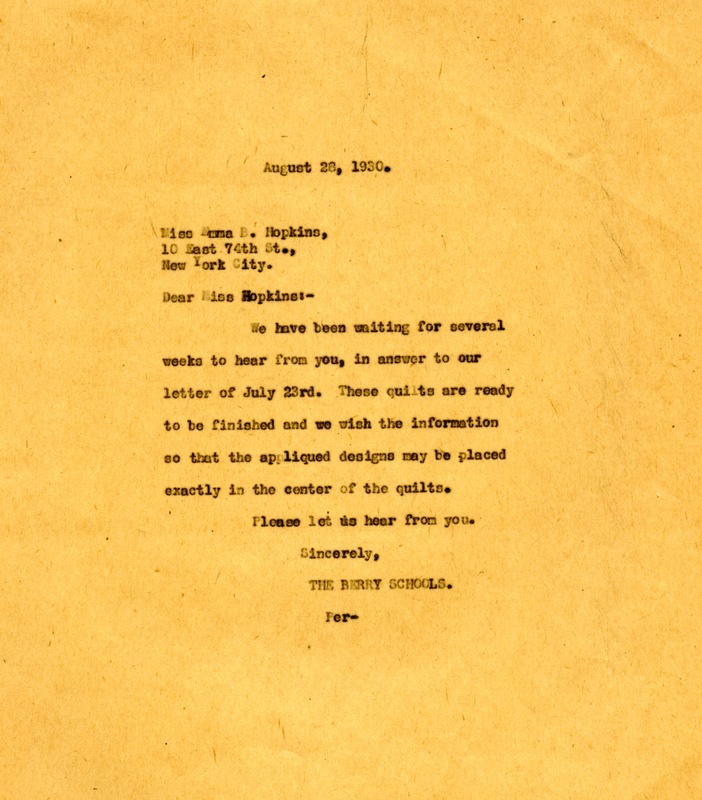 Emma Hopkins sends a reply to say that she did, in fact, send a response, but her letter must have gotten lost in transit. 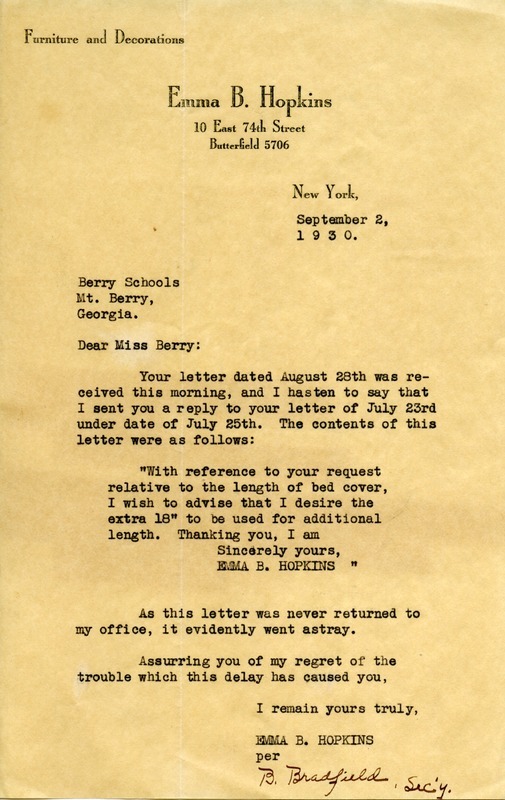 “Letter to Emma Hopkins from the Berry Schools.” Martha Berry Digital Archive. Eds. Schlitz, Stephanie A., Meg Ratliff, Angela McCavera, et al. Mount Berry: Berry College, 2013. accessed April 18, 2019, https://mbda.berry.edu/items/show/13333.